Unique photo opportunity Selfie Mirror is currently the most advanced mobile digital photography experience. Unique to the market place it provides your event with a unique interactive photo experience that everyone will be drawn towards. 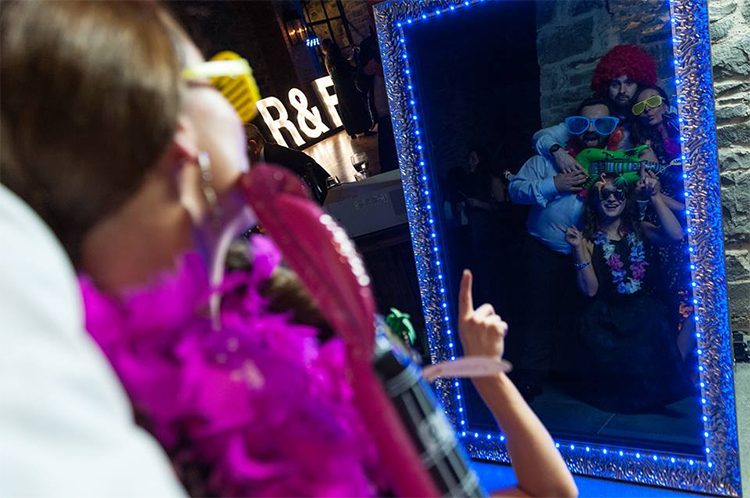 Interactive, engaging and fun Your guests will be invited to walk in front of the mirror, where extraordinary colourful animations will appear as if by magic behind the glass and invite them to touch the mirror to start their interactive photo journey. 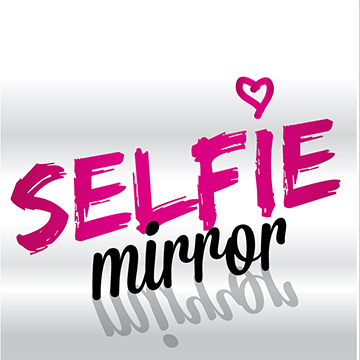 The mirror gives your guests compliments and leads them through the fun experience. They will also be able to sign their signature on the mirror and even have a fun screaming contest as the built in microphone measures the noise level and displays it as a meter reading which can be printed on the photo.